We can all agree our world is full of beautiful sounds and music, and losing the ability to hear because of one of the most common causes of hearing loss would be tragic. Unfortunately, it happens more than it needs to. People suffer hearing loss caused by things they could have easily avoided. But knowing is half the battle! Continue reading to first learn the most common causes of hearing loss and how you can avoid them. The most obvious cause of hearing loss is prolonged exposure to excessively loud music or noise. This can mean a variety of things, anywhere from listening to that rock music your grandmother warned you about to commuting via a loud train in an echo-y tunnel on a daily basis. If your job recommends wearing earplugs, you should take that seriously. 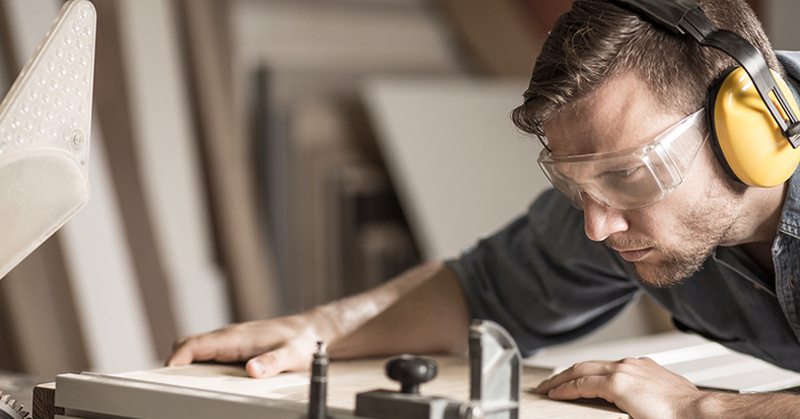 Construction, manufacturing, recycling, and a variety of other industries create huge amounts of noise, and those who work there are prone to damaged hearing. In a generic sense, viral infections can cause hearing loss in one or both ears. Infections cause inflammation in your body. If the inflammation occurs in the inner ear or in an auditory nerve, permanent damage can follow. Shingles are often referred to as “adult chickenpox” because even if you had chickenpox as a kid, you can still get shingles as an adult. They come from the same virus, and produce a painful, itchy skin rash. In some cases, shingles can also lead to facial paralysis and hearing loss. You should certainly speak to your doctor if you suspect you may have the shingles virus. Adults over 60 are encouraged to get the shingles vaccine. Ototoxic drugs are drugs that damage your hearing, often as a side effect to treatment for something else or else an allergic reaction to an ear treatment drug. Most often, allergies for ear drugs go undiagnosed until it happens. Similarly, unexpected side effects from other drugs are exactly that – unexpected. But do be aware of any medications prescribed. If the drug is already known to affect hearing in some patients, the manufacturer is required by law to alert doctors and patients, so you should always pay attention. Meningitis is inflammation of the meninges – a trio of membranes in the human head. Hearing loss from bacterial or viral meningitis occurs when this inflammation causes nerve endings in the inner ear (cochlea) die or damages the cochlea itself. As with any bacteria or virus, avoiding this comes with everyday good hygiene and avoiding contact with other sick people. If you have signs of meningitis, you’ll want to see a doctor right away, as it can cause other problems besides hearing loss. Fevers are caused by a variety of things, and one thing you need to remember is that high fevers can lead to hearing loss, so if you’re even a bit warm, don’t be a hero and tough it out. Take some anti-fever medicine, or better yet, consult a physician. It’s easier said than done, and it’s said a lot in our culture, but it bears repeating here: you should do what you can to avoid being excessively overweight. Obesity affects the body’s flow of blood and oxygen, and puts a strain on the capillaries in your inner ears. This obstruction can cause semi-permanent or fully permanent hearing loss. Diet and exercise are the common suggested solutions, but every human body is unique. So if you're having difficulty shedding those few extra pounds, you should consult a physician for a personalized plan to address it. Some studies have linked smoking with hearing loss, associating the free radicals that are formed in the body when smoking cigarettes. This can cause disease and even alter DNA in some cases — with loss of or damage to hearing. Though it may be debated from study to study, there’s no point in risking it. You can add “potential hearing loss” to the long list of bad things that smoking does to the human body. High blood pressure can affect hearing in a couple different ways – the most dangerous is the pressure in your highly sensitive inner ears. Damage to the capillaries on the walls of your ears leads to permanent hearing loss – sometimes complete hearing loss. High blood pressure can also cause tinnitus, a constant ringing sound in the ear – this affects your ability to hear other sounds, decreasing your quality of life. Avoid hearing loss from a stroke by avoiding a stroke altogether. Some ways to do that include losing weight, not smoking, taking everything in moderation…but your safest bet, as usual, is to speak directly and frankly with your doctor. Strokes are caused by a lot of things, and you should know where your risks lie. Whether you suspect hearing loss has crept into your life or not, it’s best to visit an ear specialist to maintain your best ear health. The hearing experts at North Shore Hearing P.C. offer decades of experience helping people like you experience the world with the clearest quality. ​Call North Shore Hearing today for a free hearing consultation. Don't wait to get your hearing checked! Click the button below to request an appointment from North Shore Hearing, PC! One of our friendly representatives will follow up to schedule a convenient time for you to come in. Request Your Hearing Appointment Now! After 18 years of experience in the field of audiology and hearing aid dispensing, I felt it was time to start my own practice which has led to the creation of North Shore Hearing, P.C. I take pride in the care I provide for my patients as hearing is not just a medical issues we need to deal with, but also the social and lifestyle ramifications that people with poor hearing live with on a day-to-day basis. Based on not only your hearing loss, but also the type of lifestyle you lead, we'll work together to fit you with the most appropriate hearing aid available in today's marketplace. What Is the Treatment for Hearing Loss Caused by Meniere's Disease? Say What? A Middle Ear Infection Can Cause Hearing Loss!